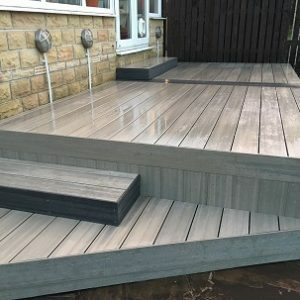 These decking boards are an engineered range of wood/plastic composites. They provide the durability of synthetic products with the malleability of wood. This leaves you with a product that is virtually maintenance free. There is no need to paint, stain or seal. Just a periodical clean either with a jet wash or light brush and hose.